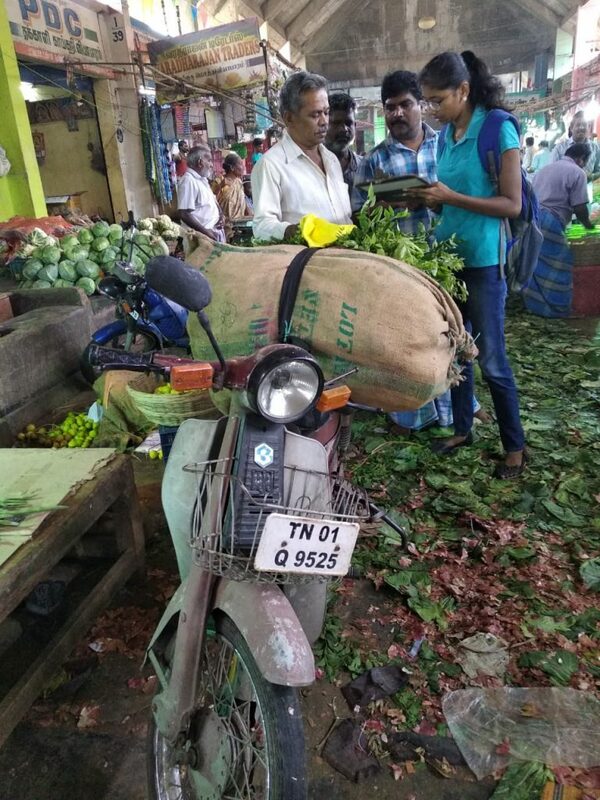 At around 6 AM on a Monday morning, in the month of July 2018, I found myself among the bustling crowd of the city’s most hyperactive market place, the ‘Koyembedu Wholesale Market Complex’ (KWMC), interviewing few 2-Wheeler owners in my mother tongue. A quick rewind button on my life’s remote takes me back to the mid of May 2018, when I joined TVS Motor Company Limited as Sales/Marketing Customer Research Intern at Hosur. Being inducted into the Project Trainee role and provided with an Identity Card, gave me a feeling of ‘THE GAME IS ON’ into the corporate life. After a small chit-chat with BIM Alumni, I was deputed to Chennai Area to kick-start my Customer Research activities. Deputation at Chennai was really a ‘HOMECOMING’ for me, with the Area Sales Manager welcoming me at the Area Office and briefing me on the two Upcoming projects to be accomplished by me during the 2-months internship tenure. With this starts the great denouements of Summer Internship at TVSM. Sales/Marketing role, especially in the area of Customer Research, means ‘miles to go before I sleep…’. It’s obvious that one cannot expect a 6*6 Air-Conditioned cabin to understand the customer’s buying behaviour or customer psychology. Summer of ‘18 was actual summer for me, visiting showrooms, scooter carnivals and customers in the scorching heat of Chennai city and logging an approximate 2000 kms in my TVS Jupiter. Being a native of Chennai and having completed my schooling and undergrad in the city, there were places which I have just heard of, and not even in my least imaginations I have ever dreamt of visiting them. Internship took me to places which were at the extremities of the city, breaking-boundaries, encountering few coastal communities and agricultural communities in the outskirts of the city. GEMBA – ‘the actual place’ at KWMC and other field visits enriched the customer understanding chapters of my internship diary. An important phrase which we all would have come across in our Management Studies – ‘be strong with your fundas’, came handy during the internship. Whether it be the objective of understanding a potential customer’s psychology or learning the reasons for customers purchasing at scooter carnival; assuming the position of a salesperson proved to be useful, as it is an unstructured way of interview. In it lies every possible way to navigate the conversation towards the path which will unveil some hidden points which wouldn’t have been disclosed otherwise. I would suggest that this is a fundamental requirement; and for me, it was a totally new experience. It was a reality check on my marketing ability, and my persuasive speech resulted in 10 customers Billing at the scooter carnival. At the verge of the internship, my Area Sales Manager arranged for a meeting with the Vice President of Utility Products at Hosur. Elated with the opportunity, I was excited to meet the VP and discuss my findings and recommendations for one of my projects. And the most significant takeaway point from the discussion was “the ability to distinguish between the ‘True Reason’ and ‘Real Reason’ for the purchase/non-consideration of a particular product”. Though the ‘true reason’ is upfront and can be learnt through surface-level research, the ‘real reason’ is something enigmatic and requires experience and expertise in the field. Some prominent learnings to bag-up and few memories to cherish at TVSM, I encapsulate my Summer Stay at Chennai, with some personal grooming hours, hang-outs with under-grad buddies, family time, and not to culminate without mentioning MOM’s FOOD.